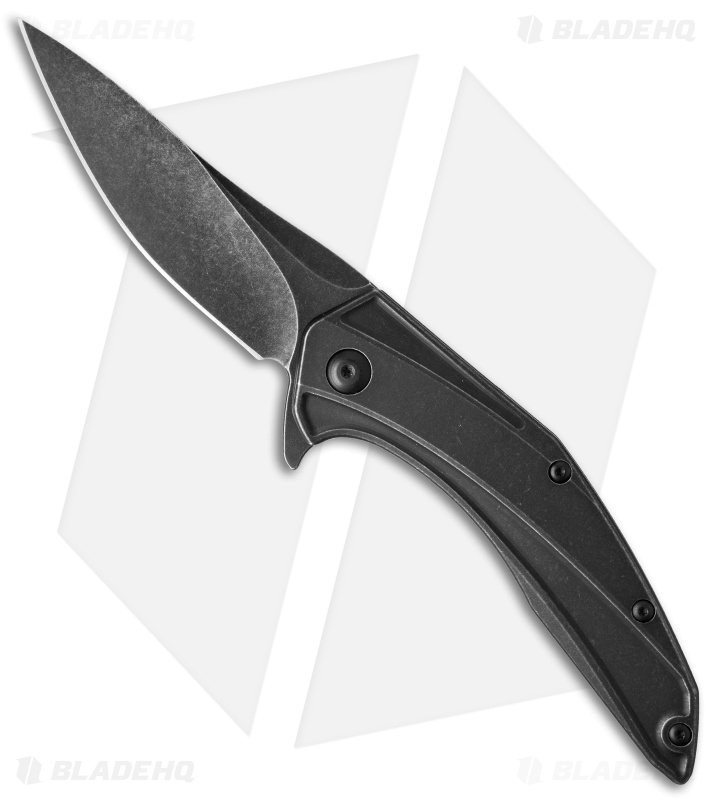 The Brous Blades Parallax is an ultralight flipper with a slim, pocket friendly build and a sweeping modified drop point blade. Its titanium frame lock handle provides secure blade lock up and outstanding ergonomics. The Parallax features a hollow ground D2 tool steel blade with plenty of belly, and a razor sharp tip suited for precision. 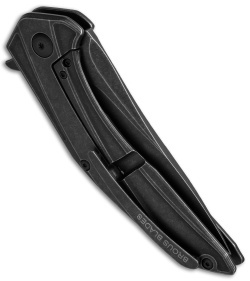 This model has an acid stonewashed blade, handle, and pocket clip. 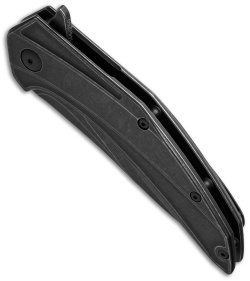 D2 blade offers superior edge retention and wear resistance. Skeletonized titanium handle frame for the lightest possible weight. Brous bearing system provides smooth and fast blade deployment. 3D machined titanium pocket clip for comfortable everyday carry. The parallax is Brous’ Best flipper they’ve made. Period. If you didn’t know any better you’d think it’s spring assisted. The acid stonewash holds up to wear very well and use adds to the “rustic” look. 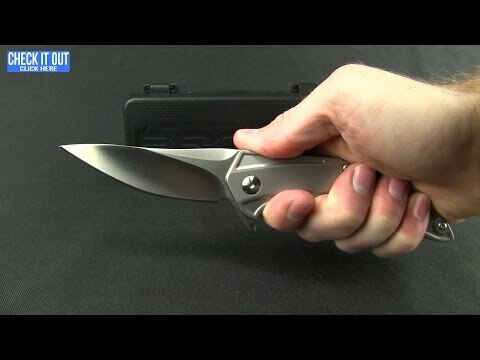 Definitely a larger knife but possible to carry everyday.